Nate practices in the Firm’s real estate and commercial and secured lending groups. Nate advises lenders and borrowers on commercial transactions including but not limited to secured and unsecured lending, asset-based and real estate lending, project and acquisition financing, and letters of credit. His work includes acquisitions and sales, loan workouts, Section 1031 exchanges, office and retail leases, and construction and permanent financing. He advises a wide array of clients in all aspects of commercial real estate and Article 9 secured lending. In addition to his transactional practice, Nate regularly advises creditors and debtors with regard to judicial and non-judicial foreclosure proceedings, UCC foreclosure, bankruptcy, and has extensive experience with loan restructuring, forbearance agreements, and loan modification agreements. 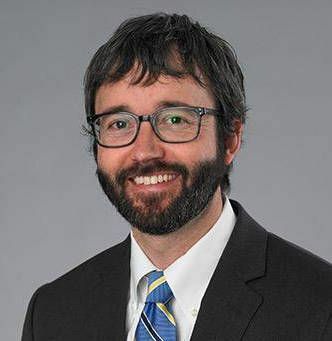 Nate has been an adjunct professor at Grandview University and is the author of the Iowa Jurisdictional Summary, The Law of Distressed Real Estate (Westlaw/ Thompson 2012). Nate is a member of the American College of Mortgage Attorneys and in 2015 he was named Iowa Lawyer of the Year by U.S. News’ Best Lawyers for Real Estate Litigation.